How to inspire more than 40 thousand participants from 50 countries for a collaborative project based on smart contracts? 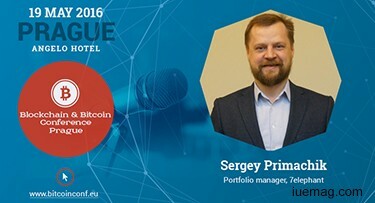 Representative of 7elephant, Sergey Primachik, will tell about his experience of project management as speaker at Blockchain & Bitcoin conference Prague. The topic of his report is “Experience of elaboration, startup and development of project based on Ethereum. Challenges and solutions”. Sergey will present the project not as a developer, but from the perspective of business. He will tell everything about project implementation starting from the idea and ending with its realization: what were the challenges and pitfalls that developers faced? The report is useful for those who have chosen Ethereum platform for realization of their business project. Sergey Primachik is an IT specialist, who has risen from the ranks of admin to manager (portfolio and process management). In the last year he has been dealing with blockchain technology. Elephant is a multifunctional platform for opening and running business. The project is based on cryptocurrency elCoin. Users are provided with e-wallet and 12-second transactions with low fees. Join the Blockchain & Bitcoin conference Prague! Any facts, figures or references stated here are made by the author & don't reflect the endorsement of iU at all times unless otherwise drafted by official staff at iU. This article was first published here on 25th April 2016.